LB-119 Monocular Biological Microscope with Finite Optical System and Achromatic Objective is economic, practical and easy to operate. This microscope adopt LED illumination, which saves energy, has long working life and also comfortable for observation. 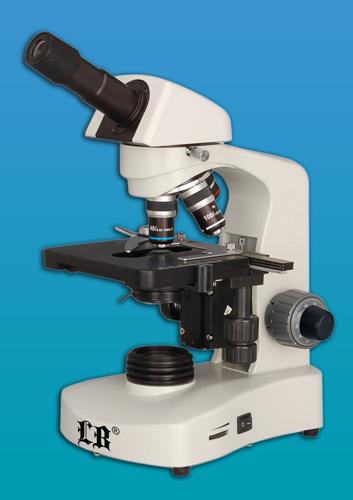 This microscope is widely used in educational, academic, agricultural and study field. With a microscope adapter, a digital camera (or digital eyepiece) can be plug into the trinocular tube or the eyepiece tube. Built-in rechargeable battery is optional for outdoors operation or places that power supply is not stable. Compact and flexible, ideally suited for desktop, laboratory worktable. LB-119 Monocular Biological Microscope with Finite Optical System and Achromatic Objective is ideally suited for school biological education and medical analyses area to observe all kinds of slides. It can be widely used in clinics, hospitals, schools, academic labs and scientific research department.